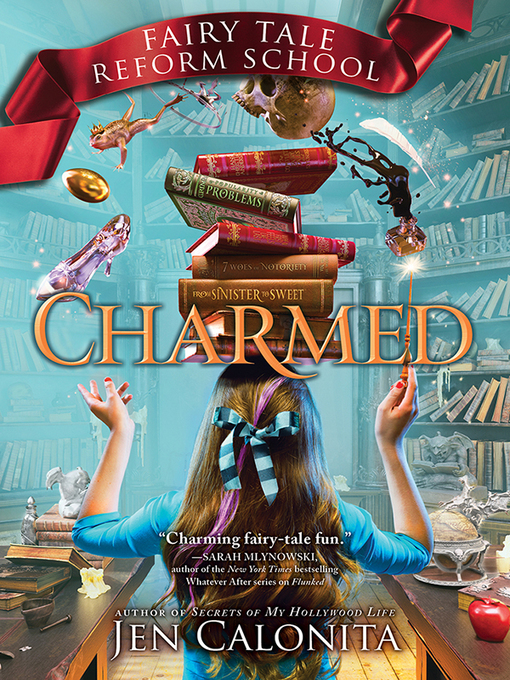 Charmed is the exciting sequel to the wildly popular Flunked — second in the brand new Fairy Tale Reform School series where the teachers are (former) villains. "Charming fairy-tale fun." —Sarah Mlynowski, author of the New York Times bestselling Whatever After series. It takes a (mostly) reformed thief to catch a spy. Which is why Gilly Cobbler, Enchantasia's most notorious pickpocket, volunteers to stay locked up at Fairy Tale Reform School...indefinitely. Gilly and her friends may have defeated the Evil Queen and become reluctant heroes, but the battle for Enchantasia has just begun. Alva, aka The Wicked One who cursed Sleeping Beauty, has declared war on the Princesses, and she wants the students of Fairy Tale Reform School to join her. As her criminal classmates give in to temptation, Gilly goes undercover as a Royal Lady in Waiting (don't laugh) to unmask a spy...before the mole can hand Alva the keys to the kingdom.